Many years ago, Vettel was the young, up-and-coming driver at the Race of Champions learning from Michael Schumacher. This year, Vettel was the one passing on his knowledge to Mick in a poignant turn of events. 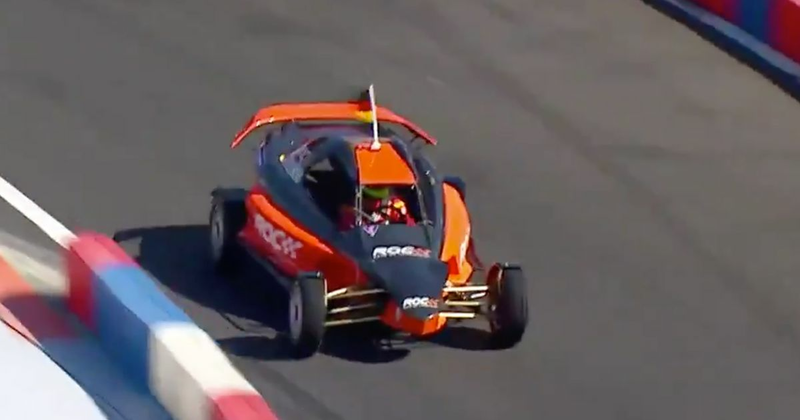 As Team Germany, the duo couldn’t quite take victory in the Nations Cup, being beaten the Team Nordic drivers of Johan Kristoffersson and Tom Kristensen. There was no teamwork during Sunday’s individual contest, however, and the two drivers were drawn against each other in the same group, making for a tasty contest. However, despite his years of experience and success in the event, Vettel lost out to the rookie Schumacher. With Schumacher joining the Ferrari Driver Academy, how long before we see these two racing against each other on an F1 grid? The result ultimately meant that Vettel surprisingly dropped out of the competition. Schumacher went through, only to be knocked out by Esteban Gutierrez, while the whole competition was unexpectedly won by Mexican rally driver, Benito Guerra.